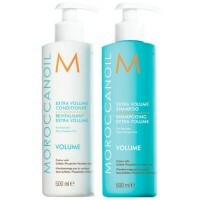 Say goodbye to flat and lifeless hair with the Moroccanoil Extra Volume Duo Gift Set 500ml. 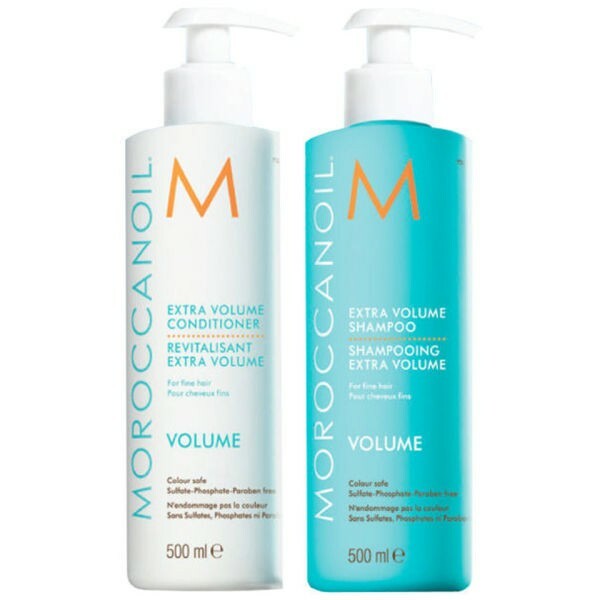 Perfect for injecting volume into your locks, this shampoo and conditioner duo helps to plump up your hair from within to produce long-lasting volume. The nourishing ingredients cleanse, condition and boost hair, making your locks look full of life. Formulated with Moroccanoil's signature ingredient, antioxidant-rich argan oil, along with keratin protein and fortifying fatty acids, this set will help to revitalise hair and leave it looking full of life. Free from sulphates, parabens and phosphates, the products are safe to use on colour treated hair.